Cunard Line is a British cruise line with a long history (founded in 1840). Originally operating transatlantic service with ocean liners, Cunard Line nowadays is also a company providing cruise vacations. Its ships are easily recognizable with their characteristic black hulls and red funnels. After her debut, Queen Mary 2 was once the largest, the longest, the widest and the tallest cruise ship ever built, while Queen Elizabeth 2 that retired in 2008 was probably the most famous cruise ship in the last century. 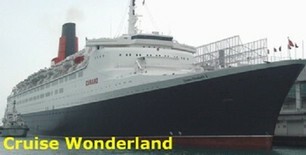 Both ships make the name of Cunard more well-known. Ships of Cunard sail to the Mediterranean, Northern Europe, the Caribbean and South America. Annual world cruises are also organized.